A religious IDF combat soldier was penalized after his formerly religious commanding officer denied him permission to grow a beard. 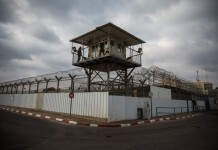 The commander of his base in southern Israel intervened and his prison sentence was commuted to eighteen days’ confinement on base. The issue of beards in the IDF comes up time and again. Shortly before Shavuos, MK Yaakov Margi of Shas was told by chareidi soldiers doing basic training at the Shachar Technological and Logistics Directorate Training Base at Tzerifin that they were not authorized to have beards. The IDF quickly resolved the issue before it hit the chareidi press. “The problem with beards is due to a change in procedure,” Margi explained. “The authority to issue a [beard] permit was given to adjutants and not to a military rov as was normally done beforehand. Today, when a soldier presents a request form he gets an answer after fourteen days even if the process is expedited due to the many hands it must pass. “First, the soldier hands an application to his platoon sergeant. Then the request goes to commander who arranges the recommendation of a major or higher rank… From there, it goes to get the recommendation of a rov. The request goes to a discipline officer of the unit who then transfers it to the adjutant who approves or doesn’t approve it as he sees fit. 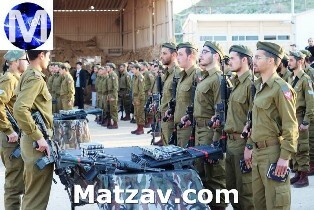 This is a Jewish Army??? Mind boggling! Says the guy with the secular name! It is not Min Hathorah or even MiDrabanan to have a beard – no question the Halacha stands with Dina DMalchusa. You wanna have a beard – make your own army. Now I as a flatbush frum Jew understand the old Satmar rebbes wise position. The Zionim hate Torah Jews. I wonder what the rebbe would say to the toyeveh parade in Jerusalem. How is a beard halacha? Have you ever seen pictures of European litvishe? Many litvishe rabbonim had shpitz beardles and their was nothingwrong with that. Also many regular people went about cleanshaven! Litvaks didnt judge somebody by their beard lenth! What nonsense! This is a Jewish army. If they cannot accept soldiers who have beard, and b’davka require shaving as a anti-religious measure, what in the world does this have to do with pre-war Lita? Get a clue! Because this website gears toward yeshivish people and they visit this website. If you don’t understand what it has to do with lita. Lita is were the current yeshiva movement got its model from. Which if the editor saw a reason this article stood out that he should publish it. Then it is you who is clueless. Enough with this beard nonsense. Yes, look at every picture of pre war Mir in Europe. Every bachur was clean shaven. When I was in a certain out of town Yeshiva for mesivta back in the 80’s, the Rosh Yeshiva MADE all of us shave. This anti shaving crowd really has to grow up already.